Cheryl over at Twinfatuation hosts this one. Go over and have a look at what others are doing on this abnormally warm Saturday. 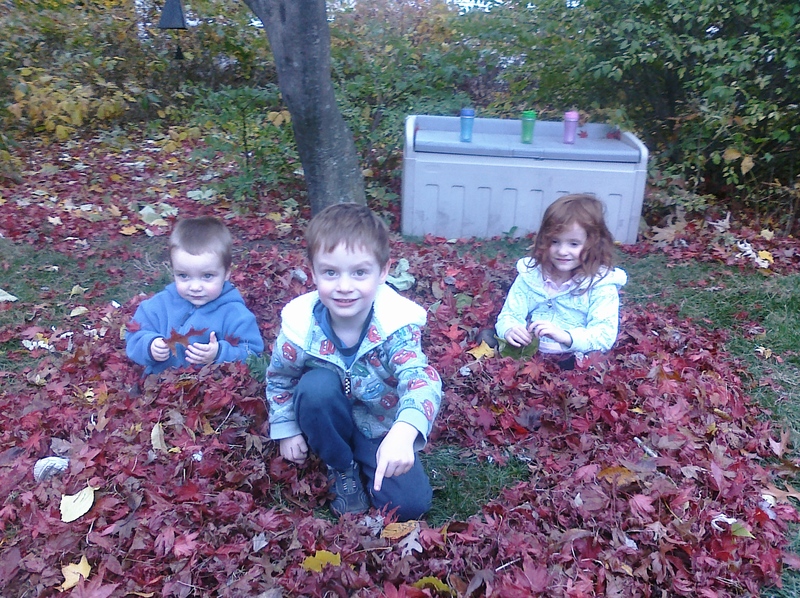 Great picture with all the pretty leaves! That is such an adorable picture of the kiddies! We did a bit of raking today too…. Enjoy that autumn, Nancy, and thanks for playing along! Those leaves are just beautiful.